NOTE: We cannot guarantee this will work with your solar panels. It is up to you to look at the datasheets and provided information to determine if this will work with your panel! 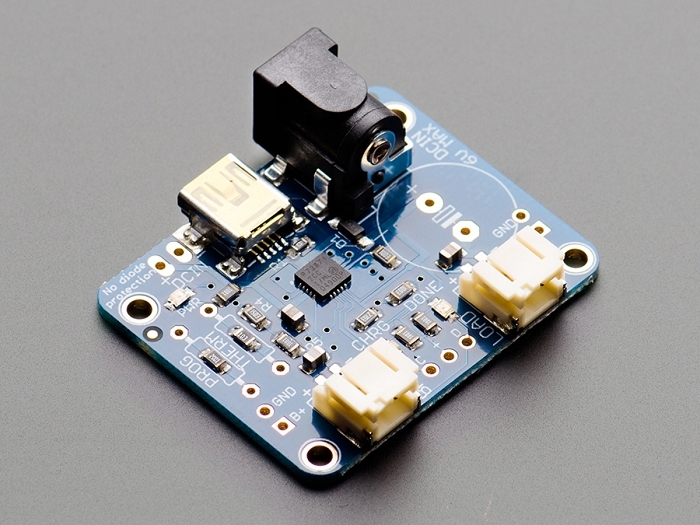 A 2.1mm adapter may be required to adapt a solar panel to the DC power jack. 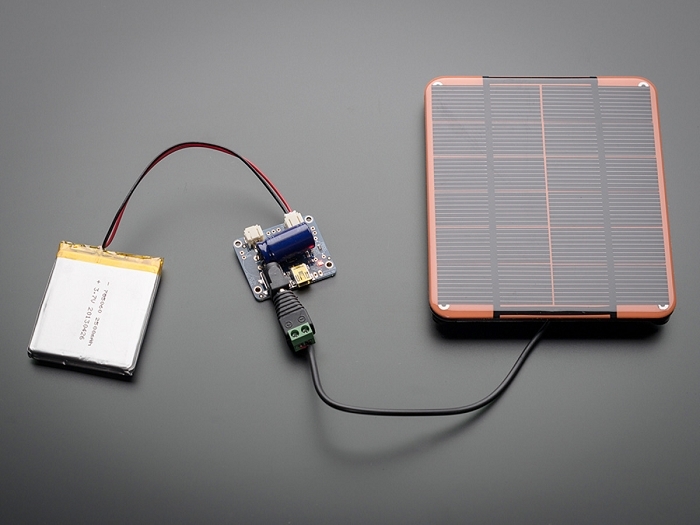 Adafruit has carefully designed this charger specifically for solar charging, and will automatically draw the most current possible from the panel in any light condition! Even thought it isn't a 'true' MPPT (max power point tracker), it has near-identical performance without the additional cost of a buck-converter. 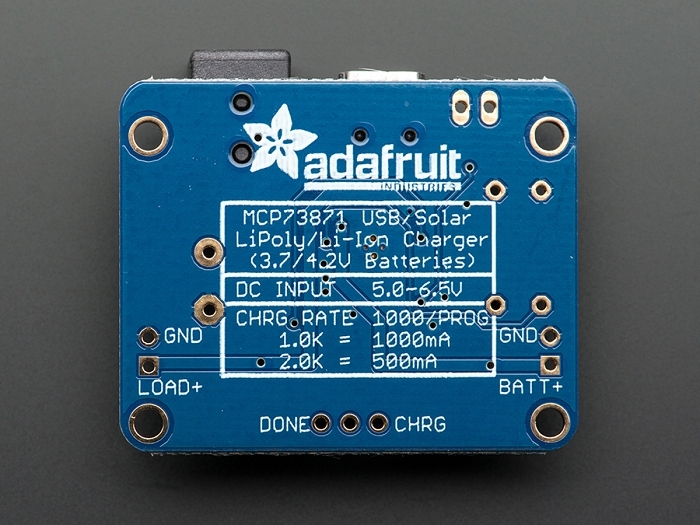 Adafruit's detailed tutorial on how to use this charger includes a design document explaining how it all works. Best for use with the Lipoly/LiIon batteries we carry! Other batteries may have different voltage, chemistry, polarity or pinout. If you are using this on a different battery then it is up to you to know what you are doing and not just guessing or plug and pray. 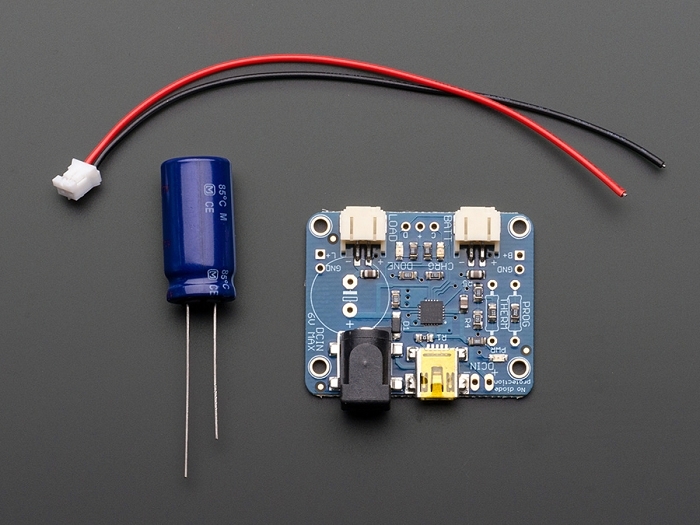 Comes with an assembled charger board, a 2-pin JST cable that will fit into either the BATT or LOAD ports, and a large stabilization capacitor that must be installed in your finished project. Does not come with a Lipoly battery or solar panel.